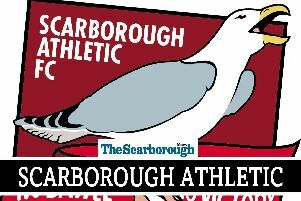 Scarborough Athletic head to Basford United on Saturday - this is all you need to know about the game. Current form: Sixth-placed Basford have won five of their last six games, kicking off with a.4-0 win at Bamber Bridge in the league, followed by a 2-1 win at Cambridge City in the FA Trophy first qualifying round. They then claimed a 4-2 home win against North Ferriby United in the league a week later, with another FA Trophy win, 4-0 at home to Stafford Rangers following a week later. The next game was a 1-1 draw at promotion rivals Warrington Town in the league and last Saturday Basford claimed a shock 2-1 win at home to National League North side Curzon Ashton in the Trophy to earn a meeting with National League side Chesterfield in the first round proper on Saturday December 15. Boro, meanwhile have hit a rough patch recently, losing three of their last six matches. They started off with a 6-0 win at Lancaster City then a 1-0 win at Gainsborough Trinity three days later, but since they have struggled. Athletic crashed out of the Trophy in the first qualifying round, losing 1-0 at Premier Division strugglers Workington, they then lost out 3-1 at rivals Farsley. Boro bounced back with a hard-earned 2-0 home win against third-from-bottom Marine, then lost by the same scoreline against fellow promotion rivals Gainsborough at home last weekend. Ones to watch: Nathan Watson, the club's record signing is joint-top scorer in the Premier Division with 13 goals alongside Boro's James Walshaw. Team news: Boro boss Steve Kittrick has a full squad of players apart from the long-term injuries to Luke Dean and Will Annan.